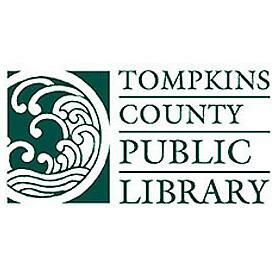 Tompkins County Public Library will celebrate Martin Luther King, Jr. Day with “Rhythm of Courage,” a program featuring African drumming and stories about King’s life and work, Monday, January 16 at 1 p.m. in the Thaler/Howell Programming Room. Led by community advocate Aloja Airewele, “Rhythm of Courage” will offer families of children ages 5 and up a powerful message—through storytelling and drumming–about the strength of personal convictions, including Airewele’s personal encounters with King’s colleagues and collaborators. Born and raised in Nigeria, Airewele is a trained physician and worked in family medicine before immigrating with his family to the United States in 1997. He is former president of the Tompkins County Public Library Board of Trustees and currently serves as coordinator of Tompkins County Cornell Cooperative Extension’s Energy Warriors program. For more information, contact the Library’s Youth Services Department at (607) 272-4557 extension 275. Next:Manager’s Letter: Set your New Year’s Resolution with the Chamber!